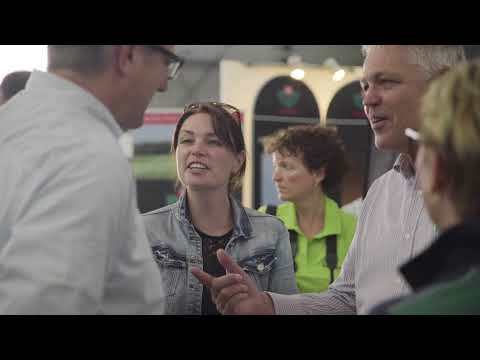 Wageningen University & Research (WUR) is a partnership between Wageningen University and the Wageningen Research Foundation. WUR takes the protection of your privacy very seriously and strives to provide services that are transparent, reliable, and focused on the individual. The personal data that is collected through the website is processed in accordance with the applicable privacy regulations. 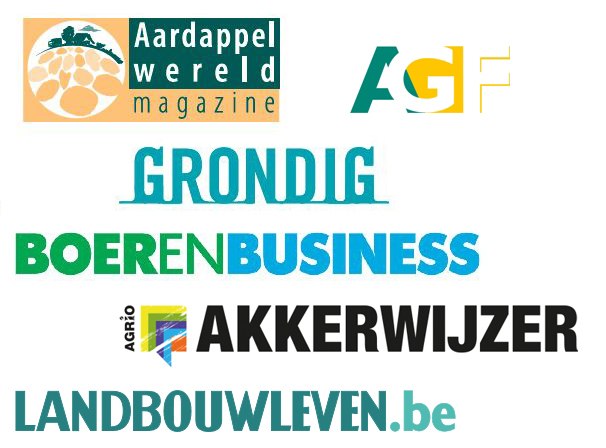 On our website www.aardappeldemodag.nl, there are several areas where you will be presented with the option to provide a response. For instance, this is how you would request a brochure, register for a seminar, or complete an alumni form. The data that you provide will be used exclusively to complete your request and not for any other purposes. Your information will not be shared with third parties without your consent, unless this is necessary to process your request. Information on how Wageningen University & Research deals with sharing data with third parties, data transfer to other countries, and retention periods; information about your rights regarding the processing of personal data that has been collected through our website or applications; and the contact details of our Data Protection Officer are described in the Personal Data Protection Regulations. We understand the importance of protecting the privacy of children. For this reason, we do not intentionally collect personal data related to children without the required consent from their parents. We kindly request that children under the age of 16 who want to provide their personal data when using our online services, ask a parent or guardian to do it for them. We may request your personal data, such as your date of birth, for the purposes of verifying your age and to enforce the applicable age restrictions. Wageningen University & Research websites and applications utilise appropriate security systems and encrypted connections to protect your personal data against loss or any form of unlawful processing. Cookies are small text files that are stored on your computer. The data collected cannot be traced to an individual and do not contain any personal data. We mask the last octet of your IP address for these purposes. Required cookies: These are cookies that are necessary for the website to work properly. An example of this would be the option of whether or not to accept the cookies on the website. These cookies are not shared with third parties. Analytical cookies: Our website and marketing e-mails use these cookies to analyse the site and its statistics. WUR uses these statistics to continuously improve the website and the mailing list content and to provide you with relevant information. Google Analytics is used to assist in this process. Google may provide this information to third parties if it is legally required to do so or if these third parties process information on behalf of Google. We have no control over this. Social plug-in cookies: These are cookies that are sent by third parties, which allow us to display social sharing buttons, e.g. for YouTube (Google), Twitter, and LinkedIn. By using these plug-ins, you can share our internet content with others. These can be recognised by the social media provider’s logo. The integration of these plug-ins does not mean that your data is automatically transferred to the social media providers. This only occurs when you click on the button. When that is done, you will be taken to the relevant website and the social media provider’s rules regarding the protection of your data will then apply. WUR has no further control over this, nor does it accept any liability for whatever may happen. When you visit our website for the first time, you will receive a notification on your screen explaining that you automatically provide your consent to receiving cookies by continuing on to our website. If you do not agree, click “Decline (Afwijzen)” when you are shown the notification. You can also change your browser settings so that you do not receive any of these cookies. Please see the explanation below for accepting or declining cookies. You can control whether you accept or decline cookies. Most web browsers automatically accept cookies, but you can usually change the settings of your browser so that cookies are not accepted. You have to make this change again in every browser and computer that you use. Click on the name of your browser to see how to change the settings yourself. You have the right to ask WUR to provide access to your personal data and/or to improve it, add to it, delete it, or block certain parts of it. Please visit www.wur.nl/en/About-Wageningen/Integrity for further information in this and for forms that you can use to make these requests of WUR. If you do not agree with how WUR is handling your personal data, you can always request further clarification from our Data Protection Officer: functionarisgegevensbescherming@wur.nl. Wageningen University & Research reserves all rights to the information presented on its websites and in its applications, including texts, graphics, and logos, unless otherwise specified. Copying, reproducing, or making any of the content from the websites available in any way is not permitted without the consent of Wageningen University & Research. We do our best to provide accurate and current information. Nevertheless, it is possible that certain information is not entirely accurate or current. If you have doubts about any of the information, please contact us. Links to sites that are not maintained by Wageningen University & Research are included for informational purposes and for user convenience. Wageningen University & Research cannot make any guarantees regarding the content and operation of these websites or regarding the quality of any offers made to you while visiting them. Wageningen University & Research is not responsible for the way these websites handle your personal data.